Adding a dog to the family can be an exciting time, but proper training is needed to get the most out of the experience. These days, much like everything else, people are turning to options online for dog training courses. There are a number of websites that have high review, but what are the three top online dog training courses out there? Here is a closer look at the best of the best. 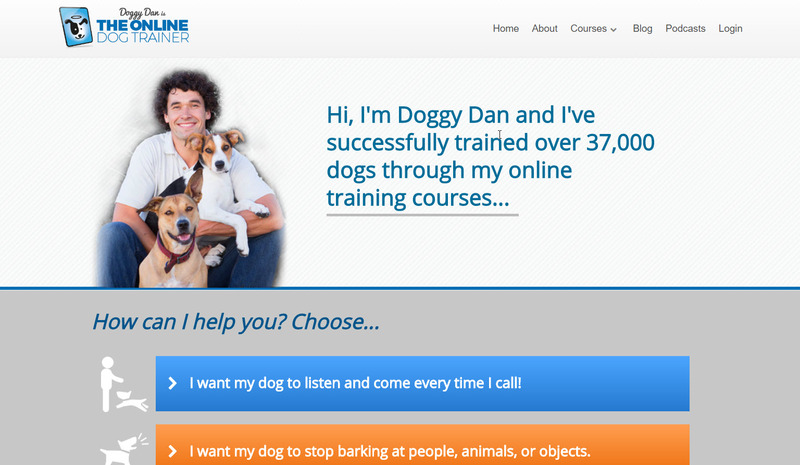 There are a lot of solid options for online dog training, but Doggy Dan might just be the cream of the crop. He has been offering his program online for over a decade, and he is a well-respected author as well. His blog, social media posts and even television appearances have all helped grow his brand. Doggy Dan is very passionate about his job, and more importantly, he is no stranger to training online. While the industry is growing as a whole, sometimes it is extremely difficult for trainers to adjust to online teaching methods. He has already helped successfully train over 37,000 dogs online alone, and he shows no signs of slowing down. As for the training itself, he offers a free obedience and potty training course on his website to help introduce his teaching methods to newcomers. These courses are very straightforward, and it is easy to see if the dog is responsive or not. A person can also sign up for a three day trial to get full access and test out all the different programs he has. The training philosophy used by Doggy Dan is referred to by him as alpha training or dog whispering. The goal is for the dog to know, and constantly be reminded, that the owner is the pack leader in the dog’s life. Some people are not fans of this technique, but there are tips and ideas for really any type of dog. A person should try all the different training techniques to see which ones the individual dog responds well to. Videos are a huge plus with Doggy Dan. Hours and hours of instructional information is quick and to the point. There are also PDF files that can go along with the videos for those who prefer learning by reading. The videos, in many cases, feature Dan himself, which makes the entire program really personal. Whether a person is looking for alpha training or positive influence training, Doggy Dan covers it all. To fill in any gaps, members get exclusive access to an active forum with other members of the community. This is really perhaps the one thing that puts Doggy Dan over the top. Training a dog can be hard, but now there are all these people in the same exact situation offering tips and advice after going through it. The only complaint about content currently is that videos can’t be downloaded. That means a person needs to have a solid internet connection to view the videos at all times. That can sometimes be tricky for people who are the local park or something and want to get some information. Doggy Dan is expansive enough that any dog owner will get something out of being a member. The three day trial alone should sell most people on all the benefits. It’s still the best option out there, even if others are gaining on Dan. Adrienne Faricelli, the one behind Brain Train for Dogs, is certainly on the tail of Doggy Dan. This program is the next best out there, and some actually prefer Brain Train for Dogs over anything else. Once a person becomes a member, they log into the site and have immediate access to all the tools they need. It is very easy to navigate around, going specifically to areas that are in need. There might not be as much information overall compared to Doggy Dan, but it is hard to argue the one-time fee of $47 as they only expense. Her low price point is the reason she is making so many waves in the industry. The training methods used by Brain Train for Dogs are all force-free methods. She bases her training on science, using positive reinforcement with dogs. She believes in putting the dog through absolutely no pain, physically or emotionally. Those opposed to any of that will find that some sections in Doggy Dan are just not for them. Along with basic obedience, tricks and more, Brain Train for Dogs goes beyond that with advanced courses. In particular, Advanced Brain Training Activities give 21 more options for dogs who are already pretty advanced. 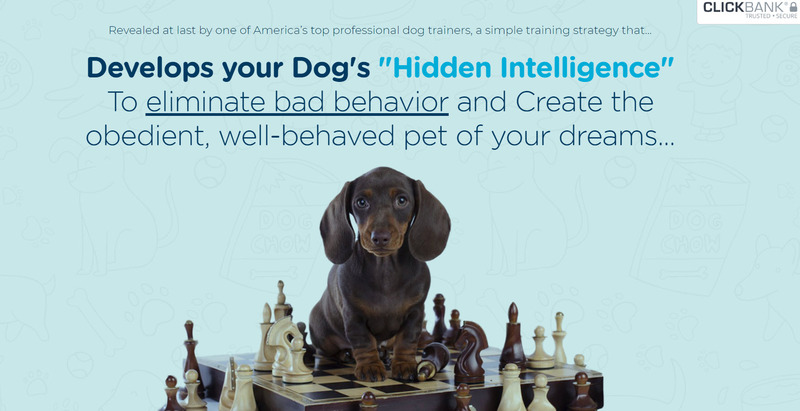 It allows people to test the limits of their dog and see just how smart they can become. The forum offered by Adrienne is nice, but not quite as active as Doggy Dan’s forum. Adrienne is very helpful though in not only answering questions if she can, but seeking out answers for others if she can’t. It’s a nice, personalized touch she still offers even as she grows. Out of the three programs reviewed, she seems to be the most active when it comes to helping others and giving out tips when possible. Faricelli has the credentials to be one of the top trainers out there, spending years teaching dogs online and in person. She’s a Certified Professional Dog Trainer – Knowledged Assessed, and she is also a member of the Italian Association for Dog Trainers and Canine Consultants. Just getting these titles takes hundreds if not thousands of hours of work with master trainers from around the world. Overall, the teaching style differs a decent amount from Doggy Dan. Whereas Doggy Dan tries to catch just about every single method with all his information, Adrienne has set up Brain Train for Dogs as a program that focuses on a single method. Secrets to Dog Training is designed specifically to help out dog owners who notice that their dog’s behavior has changed recently. The saying is you can’t teach a dog new tricks, but the program proves otherwise. Consistent training, started at any age, can yield positive results fairly quickly. The layout of the website, including the e-books and the videos, is not as nice as the other two listed above. The guide is still useful though, even if it feels just a notch below overall. The good news is everything is a very easy read, and it comes from personal experience. All the tips are given by people who have been in tough situations with dogs not behaving the proper way. Those people who like to learn by reading will really enjoy this program. The videos are put together decently well, but the information is really in text form for the most part. That is good news for people who need to pull up, or even print off, walk throughs when they are training at a local park or something. Just like the other programs, there is a forum that people have access to, which helps when any specifics aren’t covered in the training. The forum isn’t as active, mainly because the user base is smaller. 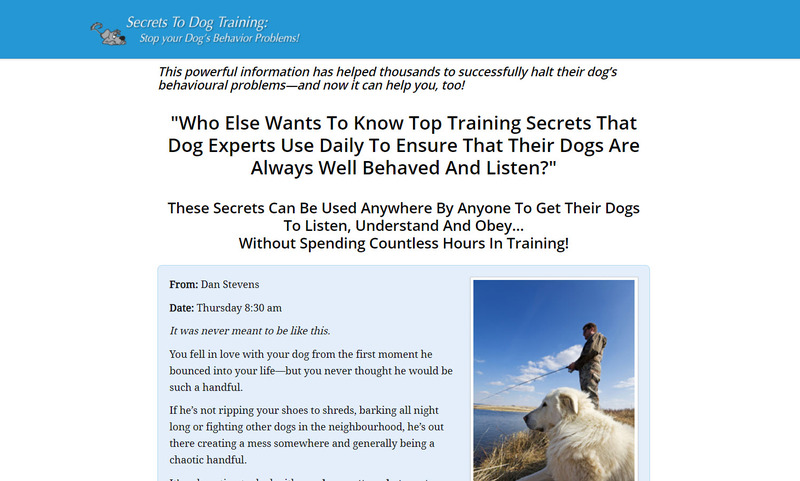 Daniel Stevens, the man behind Secrets to Dog Training, does have a number of other products on the market, and has worked in the dog training community for years. He continues to believe that the future is online information and training, which is why he continues to produce videos and manuals for the masses. The only real reason this one is ranked as just the third best option out there comes down to it just not having the same amount of information. There is still months and months of information in this program for people to sift through, and for the price, it is hard to not at least give a try. He also offers a money back guarantee, so there is no real reason to not see if dogs respond the right way. After reviewing three different online dog training courses, the future certainly seems to be using these resources over very expensive lessons with a local trainer. That does not mean that a local trainer is necessarily going to be without a job soon, but times are changing. It is simply a very expensive endeavor to take a dog to training multiple times a week for months at a time. Perhaps even years. All of the programs listed above cost next to nothing when compared to local training lessons, so it just makes sense to give them a try at first. Doggy Dan is the best option for all first-timers to try out if they can afford it. They have the most amount of information, the most active forum and just the best overall professional presentation. Utilize the three day trial and see everything that is offered. There are a ton of pros when it comes to online dog training courses, but there are a few cons as well. No matter how good the online training is, it can never fully replace a real life trainer working with a dog. Also, it can be more time consuming for the consumer, since they are essentially becoming a dog trainer on the side. Yes, a lot of money is saved, but time is spent in return on training the dog. Overall, more and more people are giving online dog training courses a real chance. It was something no one really gave much thought just a decade or two ago, but as prices came down, more people jumped on board. As more competition begins to join the market for online dog training, these three are likely to add additional content in order to keep up. More competition should make for better products, and updated products as well. Out of the three, Doggy Dan seems to be the most active when it comes to providing updates. That is one positive when it comes to having a customer base that is paying a monthly fee. Members expect updated information and new resources from time to time, and he delivers. Maybe online dog training isn’t perfect for every single dog, but all owners should give at least one a try. Most memberships only cost the price of a single lesson in person anyway, so the risk is minimal. The information could be a huge breakthrough for any person or family dealing with some dog behavior issues around the home.